1905: Independent Nebraska faces what is said to be its best schedule yet, with three games against teams from the Western Conference (now the Big Ten). Of the league's nine teams, just one, Chicago, would play more games in its conference in 1905 than Nebraska did. 1910: With spring practices about to begin, rule changes add to the learning curve. Games will be divided into quarters for the first time, and freer substituting will be allowed. (Full story here.) Also, former Nebraska assistant Ted Stuart becomes the head coach at Colorado School of Mines. 1915: Spring practice gets under way, and the outlook is said to be promising for Jumbo Stiehms squad. 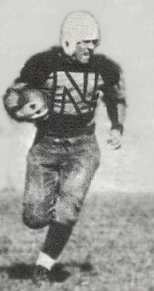 1920: With only two regulars from the 1919 team gone, the Cornhuskers begin spring drills under second-year coach Henry Schulte. «1925: Glenn Presnell, Jug Brown and Arnold Oehlrich score touchdowns in the Huskers' final spring scrimmage as a rain-soaked crowd looks on. 1955: The spring game and the rest of All-Sports Day are delayed by a week because of poor weather. 1970: Starting spots on defense will be up for grabs during spring drills as just two Sun Bowl starters return. 1985: Former Husker defensive back Dana Stephenson receives a 10-year prison sentence for his involvement in a cocaine conspiracy.